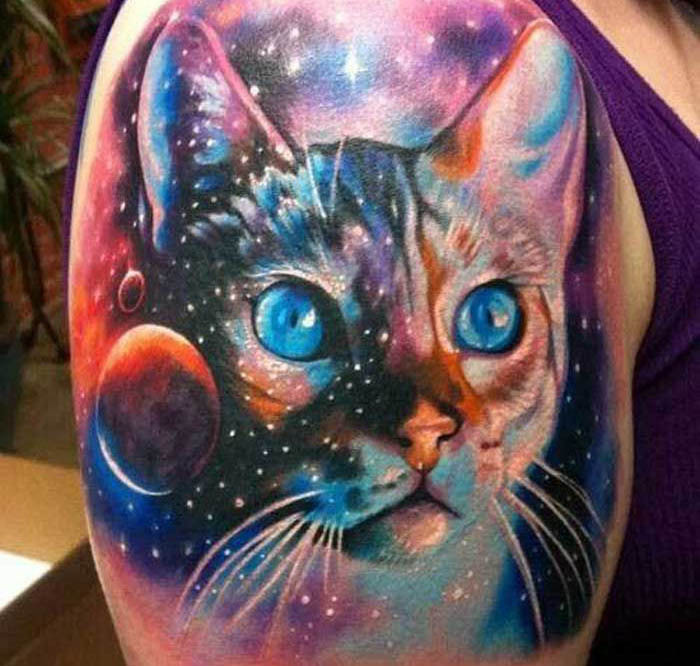 Home Cute Cat Tattoo Designs That are Out of This World! A lot of people get tattoos that mean something to them, so it’s no surprise that having a cat tattoo seems to be a pretty popular choice! Sure, tattoos aren’t for everyone, but it’s always fun to see how other people have been inspired, and how their tattoos came out when all is said and done. 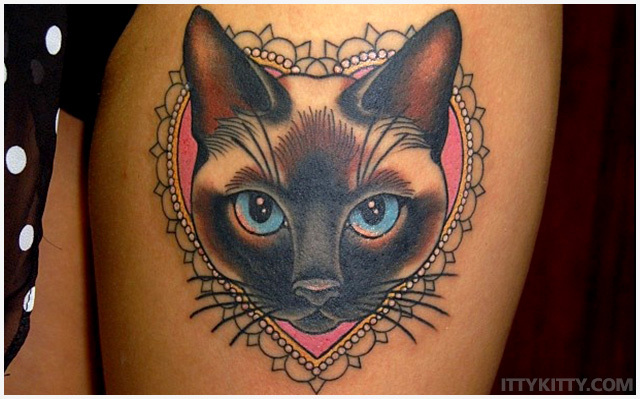 I have a cat tattoo myself, and the most fun part was sitting back and thinking about the type of design I wanted and the style I liked the best. After all, this is something you’ll usually be left with for a lifetime, so it’s important to make sure that you’re happy with the results. Trust me on that one. 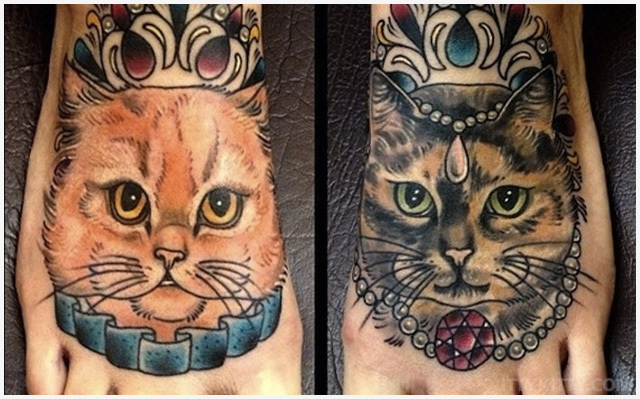 Check out some of these amazing cat tattoo finds. If you happen to have a cat tattoo, please share and we can add them below. This Cat Tattoo Has Heart! What a purrfect way to show your love for your most favorite feline by having a literal reminder of them drawn onto your skin so that you can see them any time! 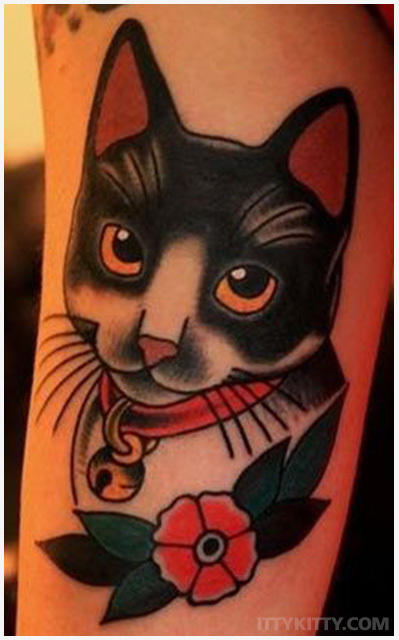 I especially like how this cat tattoo has a heart surrounding the kitty. 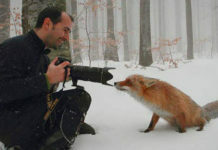 Things that make you go “awww“, indeed. What a great way to show that you hold your kitty close to your heart, even if the tattoo itself isn’t literally beside your heart – but hey, that’s something you can consider if you get your own. This cat tattoo set is especially nice thanks to all of the detail. Would you ever get a matching set of tattoos on your own feet like this? I guess you could think of it as if your cats were helping lead the way with every step you take. Keep in mind that foot tattoos can sometimes be one of the most painful because of the thinner skin in that area, and the sheer amount of bones. Still worth it. 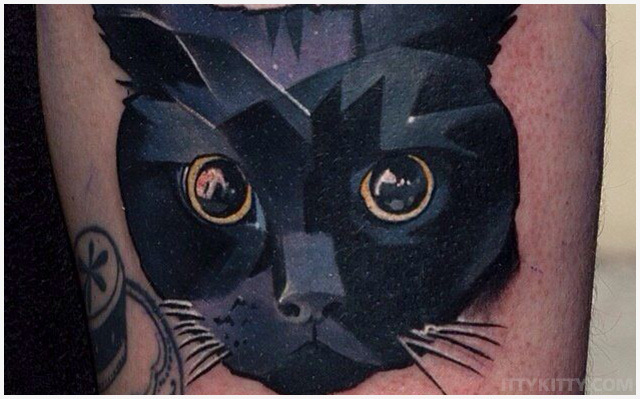 This is a more unique cat tattoo design, and look at the fantastic details the artist put into the cat’s eyes! 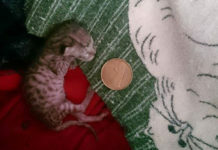 Again, what a great way to pay homage to the favorite cats in your life. 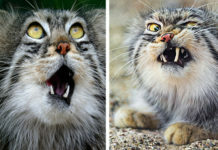 I admit if I had a cat tattoo for all of my favorite felines that I probably would run out of space pretty quickly. You’ve gotta hand it to the artist for this one. These geometric shapes aren’t exactly easy to pull off, and they did an incredible job blending it all together with the slight changes in color. You know how your cat sometimes just looks at you with that all-knowing gaze that lets you know they love you? Well, this is it! Ok, so my cat usually looks at me with more of a “what the heck are you doing this time?”, but I’m not sure if I’d want to have that tattooed on me. But this cat tattoo design has captured the absolute purrfect expression that I think just about any cat lover would be very glad to share with the world. I mean, come on. Just look at that face. Previous articleOrigami Cats So Realistic You Can Hear them Purr!